... to find the answers to these and other questions that will help you to complete your Nightjar Fact File. 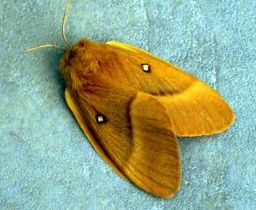 The nightjar's diet consists of a wide range of flying insect including larger moths which they catch on the wing at dusk, for example, the oak eggar moth pictured here. 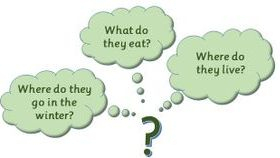 See the Investigation in 'Feeding' for more thoughts on feeding and diet. The nightjar is very particular about where it lives. It needs lowland heaths and young forestry plantations. The picture shows an area of Sherwood Forest where the nightjars live in the summer. See the Investigation in 'Predators and Problems' for more on habitat and habitat loss. 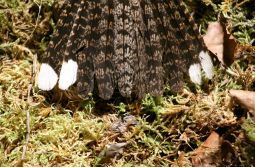 Biological information on the nightjar with high quality stills and movies. This project is a collaboration between the Universities of Exeter and Cambridge. High quality interactive information and activity pages for KS2 and KS3. Excellent graphic showing the results of the GPS tracker study of the migration of nightjars. This page also includes details of the study and the data that was collected. 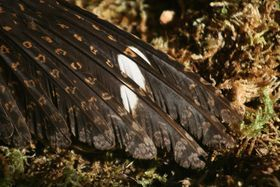 Information showing population status and distribution in UK of the nightjar. 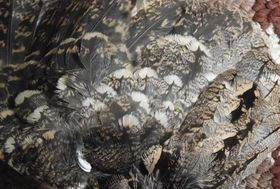 This link takes you to the details of the Brecknock WT's tracking work. 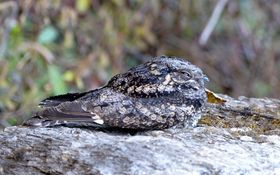 There is also information on the folklore of the nightjar. A wealth of information about the biology and habitats of nightjars with excellent illustrations. Crepuscular is an adjective used to describe a creature that is active in twilight. The nightjar is a crepuscular bird. 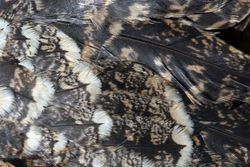 This adjective cryptic is used to describe the colouration of the nightjar - the colours and dapples of the plumage break up the bird' s outline against the background of leaves and branches. This anti-predator camouflage is doubly effective when the bird sits motionless on a stone, or branch of a tree or in leaf litter. This is an area of a forest where the trees have been cleared allowing smaller bushes and plants to spring up. This is the kind of habitat that nightjars now favour, they like an area with small trees with lower vegetation in between. This is the place in which a creature prefers to live because it has the right food, shelter and nesting places.